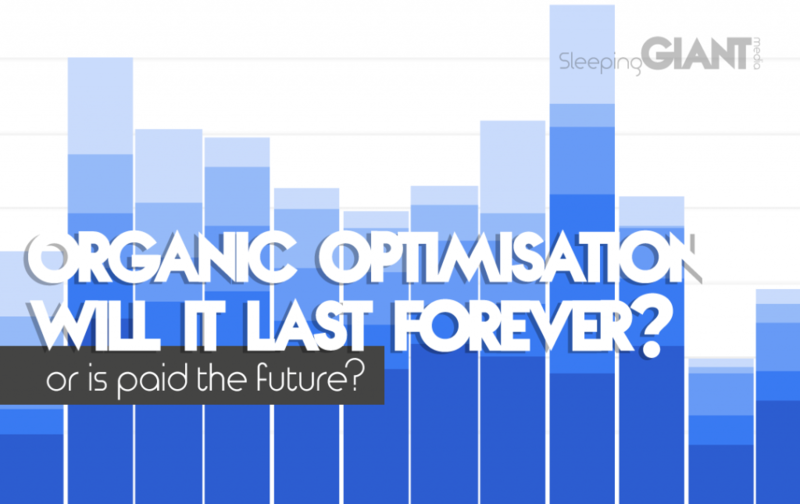 Home > Blog > Will organic optimisation exist forever? SEO can involve a bit of a long game, so we can all see why PPC might be the preferable option… so, what’s in store for the future of organic optimisation? 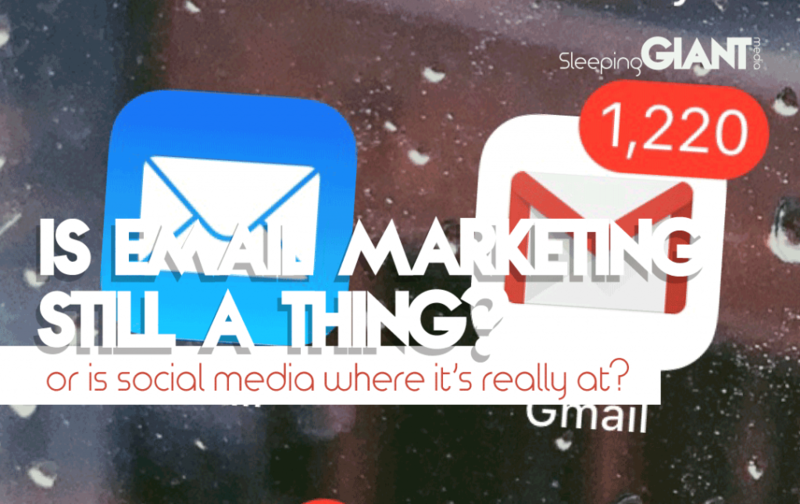 In digital marketing, organic means getting people to come to you naturally – without the use of paid tactics like ads, links or boosted posts. Great organic marketing is a harmony of lots of things working together, from evergreen SEO-forward content and optimised on-page elements to a solid social media presence. But the quick wins and potentially large ROI of paid approaches can lure people in, leading some to think that this is the way forward for those trying to make a splash in the digital pool. At Sleeping Giant Media we offer both SEO and PPC as two of our core services, so we’re always looking at ways in which changes to these industries can affect our clients – or the way we approach things. I asked some of our in-house experts for their thoughts on the future of organic optimisation, and whether paid could be about to take over. If you speak to most of the GIANTs, they’ll probably sing the praises of organic optimisation when it comes to seeing long-term business success – but it isn’t always a smooth road. Sean, our projects director, says the death of SEO and organic has been predicted fairly frequently for the last 5-10 years, but so far all of these predictions have proven to be incorrect, a concept our in-house SEO lead Danny agrees with. “Despite the constantly increasing costs, organic is still the most cost-effective acquisition channel with high longevity returns,” he says. Kathryn, one of our senior search account managers, agreed, touching on the importance of organic when it comes to capturing the full picture of search traffic. “A couple of years ago, 15% of search queries that happened on Google were said to be brand new, never seen before queries – which is hard to get full coverage on via paid ads at the moment. A lot of very long tail traffic can be too specific to trigger ads, due to low search volume, making organic essential for targeting these users,” she explained. Both Kathryn and Danny mentioned the potential impact a Google update could have on the future of organic search – particularly if there was a move to page 1 of the SERPs being entirely paid ads, for example. “There’s a lot of research around the decline in click-through rate and traffic share as you move down page 1 and onto page 2. In a world where page 1 was entirely made up of ads, it could mean that there would be no need to optimise for organic results,” explains Kathryn. Danny also highlights the importance of making use of all channels – providing they suit your business and its goals. “Ideally, organic and paid should be working in symbiosis, but in reality, one of the channels may never work for specific types of businesses. While proportions may change, the integrated approach to customer acquisition will probably stay consistent,” he explains. This approach is something we apply to all of our clients, making sure that we’re utilising all of the appropriate channels at our disposal to see the biggest impact – whether that’s social media, PPC, content creation, or SEO. “I don’t think this spells the death of organic any time soon, but it does mean that marketers will need to continue becoming even more savvy – using a blend of paid and organic, and engaging with people across multiple touch points over many different platforms,” explains Sean. 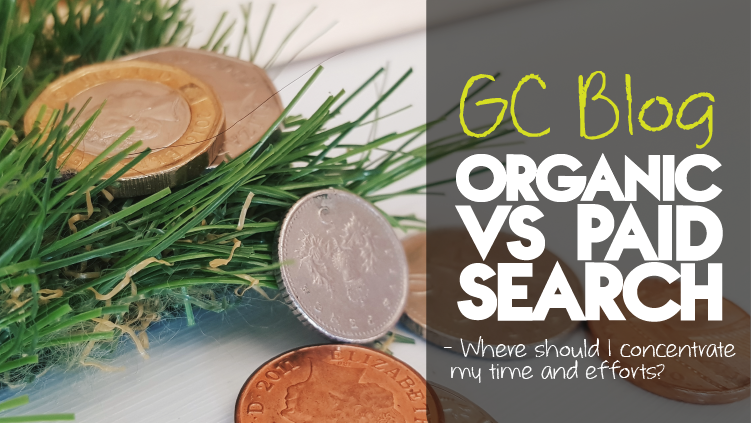 To find out more about our approach, get in touch with the team, or check out this blog from Giant campus on whether paid search or organic comes out on top for more information.